In order to improve distribution operations, automotive manufacturers from the Atlantic to the Pacific are reassessing their global sourcing strategies in an effort to improve sustainability. Due to the volatile nature of the worldwide economy, these professionals have expressed a need to exercise best practices to survive. 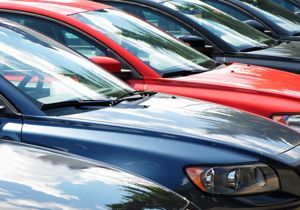 The Automotive Industry Action Group recently released a set of guidelines sponsored by 14 of the world's largest vehicle manufacturers, Fiat, Honda, General Motors and Volvo being among them. The mission of the initiative is to improve the sustainability of the worldwide vehicular procurement process. Business ethics, employee compensation and environmental standards were cited as the chief drivers for morally sound practices. Particular attention was given to working conditions and human rights. Participating companies are compelled to recognize local minimum wage and overtime laws, as well as provide employees with a safe and healthy work environment. Every action a modern corporation takes, from spend management to materials acquisition, is scrutinized by the public through various media outlets. In many ways, the Internet has forced companies to adopt new ethical standards in order to maintain a loyal customer base and reputable business practices. ChainLink Research analyst Ann Grackin claimed that transparency throughout the production and distribution process is imperative for corporations to preserve their integrity. Grackin stated that everything from a disgruntled employee letting an item slip into the hands of a criminal to a business stealing intellectual property sends rifts through global sourcing. She cited an unnamed auto manufacturer's catastrophe as an example, explaining that the anonymous corporation's employees allegedly sold critical car technology on various models to a competitor. Ultimately, the ability to view the location of all materials, monitor employee activities and adequately secure confidential company data is essential for those participating in the automotive industry to survive. Gaining such a perspective may require the help of managed IT services specializing in the technology to make comprehensive visibility a reality.